Contractors International – Is one of the most renowned and a leading name in the Home Remodeling industry. At Contractors International, we have a team of experts providing Kitchen, Bathroom & Home remodeling services to all the major cities in the entire State of Georgia. 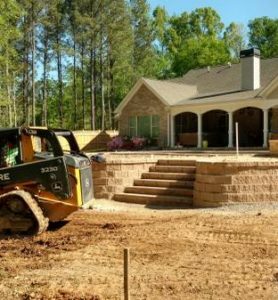 We have already managed to successfully complete numerous projects such as room addition, roof remodel, exterior and interior painting, hardscaping and more. Our company is a certified remodel contractor and bathroom remodeling specialist, are completely dedicated to ensure that all of your expectations are met. We pay strict attention on all the details to ensure maximum customer satisfaction all the while minimizing the cost as well as time that goes into completing the remodeling each project. 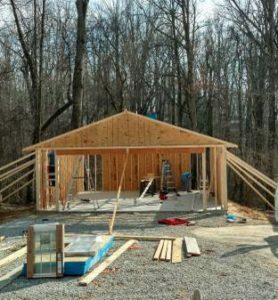 From sketch to completion, from foundation to roof, from small jobs to major remodeling projects, we do it all. No matter what, we aim to provide our valued customers with only the best service possible, all at very low prices. We always use the highest quality materials that are durable and will stand the test of time, and we provide comprehensive customer service, meant to answer any question you might have, every step of the way. Remodeling your home is an exciting but often stressful adventure. We try to minimize the disruption caused by any remodeling process to the minimum in order to minimize the impact it has on your daily routine. We do this by frequently communicating with you, setting and sticking to budget and timelines, and respecting your time, needs, and property. Just tell us exactly what you need and we will provide an estimate and perfected outline on how long it will take and what it will involve. We are ready and willing to help you with whatever you have envisioned, and no task is too small or too large for us. We have worked on large-scale homes, tiny apartments, vast outdoor areas, huge commercial properties, and much, much more, so no matter what, give us your request and we will do what we can to make it a reality. We are also widely known by our customers for our trustworthiness, reliability, and honesty at all times. Our business is and has always been geared towards helping our customers get exactly what they want in regards to what they have envisioned specifically for them. And, there are no surprises or hidden charges with us ever, we are completely forthright with what needs to be done and transparent at all times in terms of cost and schedule. We will send a qualified designer to your residence for your FREE initial consultation. We will offer suggestions to help make your project great! With our experience and all of your great ideas and recommendations it is your decision as to which direction and products your project follows. You will select the products you would like installed into your home. Unlike other companies we do not restrict our customers from picking from any quality manufactured products to be used on their project. Our expert installation crew is prepared to meet your expectations and exceed them with a smile. Remodeling your home is an exciting but often stressful adventure. Just tell us exactly what you need and we will provide an estimate and perfected outline on how long it will take and what it will involve. We always use the highest quality materials that are durable and will stand the test of time. We will send a qualified designer to your residence for your FREE initial consultation. Contractors International – Is one of the most renowned and a leading name in the Home Remodeling industry. We always use the highest quality materials that are durable and will stand the test of time, and we provide comprehensive customer service, meant to answer any question you might have, every step of the way. Remodeling your home is an exciting but often stressful adventure. We try to minimize the disruption caused by any remodeling process to maximize the impact it has on your daily routine. We do this by frequently communicating with you, setting and sticking to budget and timelines, and respecting your time, needs, and property. Our company is a certified remodel contractor and bathroom remodeling specialist, are completely dedicated to ensure that all of your expectations are met. We pay strict attention on all the details to ensure maximum customer satisfaction all the while minimizing the cost as well as time that goes into completing the remodeling each project. Our employees come from all over the southland to service your remodeling and upgrading needs. Select our company for your next project and we will show you how we make every customer very happy with their selections and installations. Your experience with us as your General Contractor begins with our convenient FREE consultation. Your project may also qualify for a FREE custom 3D computer design and renderings. You will Love your designed project before we can start any project. Proin sagittis feugiat elit finibus pretium. Donec et tortor non purus vulputate tincidunt. Cras congue posuer eros eget egestas. Aenean varius ex ut ex laoreet fermentum. Curabitur ornare varius mi. Copyright ©2017 Contractors International. All rights reserved.